In 2016 I worked for 10 months without no real break. I was able to achieve a tonne of things by going full steam ahead. You’d think the more time you spend on your work the more work you will get done. Only until your gas runs out which it eventually will and then comes burnout. This is exactly what happened at the end of October 2016. It was only until a month later (and I could say January 2017) was I able to get back into my routine and focus on my side projects. The last three months I’ve been trialing a new way of working. Which is looking promising and also feels more productive too. This method supports the day job and is intended to avoid future burnout. I’ve worked out a productive way to work on Saturdays. Every Saturday I have a Freestyle Day. Instead of having a list of To-Dos like I have during the week (ie, important tasks, projects, client work) I’ve made Saturday a freestyle type-of-day. 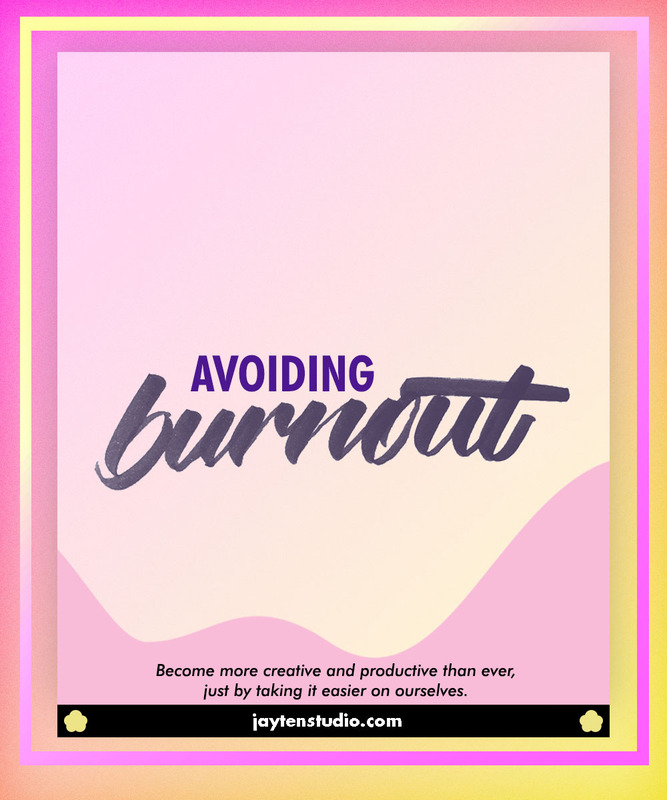 This way I’m not bound by a schedule, I can work on projects that I feel like doing in the moment and generally take it easier to avoid burnout. And so, Saturday becomes a day of productive rest. I don’t even know if “productive rest” is a real thing? The idea is to leave one day a week to step away from any work commitments you have. In the case of a freelancer, it can be straining to work into the weekend simply because you’re responsible for everything that happens in your business. As I have explained at the beginning of the post, pushing it can lead to our unwanted buddy called burnout. What Do You Use Freestyle Days For? I mentioned productive rest and that’s because I’m excited to work on my side projects which I don’t consider “work”. You can work on passion projects or a side hobby. If you follow this method for a while and keep this day for only a certain project, the added benefit is you’re able to take a look at your work with fresh eyes which you’re then able to notice mistakes or inconsistencies. So Why Are Freestyle Days Helping Me? Leave all the important tasks for the week and don’t have a schedule for Saturday. Doesn’t have to be a Saturday by the way—you pick the day! The purpose of this day is to not have strict schedule to work with. Here, you work based on what you “feel” like doing that day. This break of habit gets you out of the stress zone and responsibilities you have during the week. Maybe, you can only work with a schedule? And that’s cool too! Have an idea of maybe what you like to do, but give yourself the flexibility and permission to do other things. This method particularly works well for me because the change of routine actually boosts my productivity. The change of pace especially feels refreshing in comparison to a packed schedule. So the signs are good so far. It’s August (at the time of writing) and I feel I can finish this year strong. Dedicate one day a week to freestyle and don’t set a schedule for this day. If you’ve been working at full speed this year, at some point you got to rest. Be intentional. Remove yourself from your weekly jobs and leave room to work on the projects you enjoy.